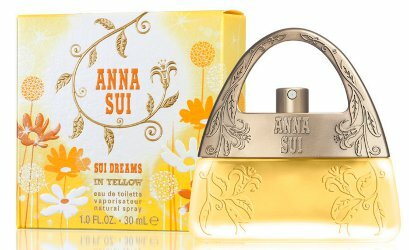 Anna Sui will launch Sui Dreams in Yellow, a new limited edition perfume for women. Sui Dreams in Yellow is a flanker to 2000's Sui Dreams fragrance, and follows Sui Dreams in Green and Sui Dreams in Pink. Notes for the citrus floral include mandarin, pepper, lotus, jasmine, white musk, sandalwood and amber. Anna Sui Dreams in Yellow will be available in 30 ml Eau de Toilette. Look for it in February. Citrus floral from Anna Sui . That’s a …[YAWN!!! ]… big surprise there. Unless the scent is much better than the usual,I can’t see needing to get this one. The purse bottle isn’t much of a enticement. In general the brand is not my thing, but Jessica likes a number of them.